Dying Matters Awareness Week: Dying Matters is a coalition of individual and organisational members across England and Wales, which aims to help people talk more openly about dying, death and bereavement, and to make plans for the end of life. Every year in May, Dying Matters and its coalition members host an awareness week, which gives an unparalleled opportunity to place the importance of talking about dying, death and bereavement firmly on the national agenda. In 2019 the week will run from the 13th to the 19th May, and the theme is “Are We Ready?”. We are all dying! It’s a fact of life! From the minute we are born, it’s the one thing that every single one of us humans on our beautiful blue planet has in common, and yet we are terrified of it, particularly us in the Western world. We will do anything to avoid facing it, or talking about it, as if somehow, if we don’t mention it, it won’t touch our lives… or on the flipside, if we DO talk about it maybe we will make it happen! As a consequence of that, we have our loved ones shut away to die in hospitals, away from the familiar comfortable surroundings of home. If we are lucky, we will be in a hospice, surrounded by warmth and caring and people not afraid to be with the dying. If we are unlucky, many of us will be alone. Over the last few years there has been a quiet revolution going on within hospitals, hospices, nursing and care homes, private homes, holistic and complementary therapy practice – people who realise that there must be a better way to die, to deal with our dying. Felicity Warner was one of these people. After sitting with many women who were dying of breast cancer, recording their experiences, listening to them deeply, she realised that there was a huge gap in the system. There was a role for someone who wasn’t a doctor, or nurse, who wasn’t going to prod or poke, or try to fix, who wasn’t family or friend, who put pressure on them to live. But, just someone to listen, to massage a sore hand, or painful foot – to allow them space to just be. And so, over time, and after sitting with many people as they transitioned from this world, the Soul Midwives were born! We are now a growing number of people, alongside other groups like the Death Doulas, and Doulas for the Dying, who are non-medical non-denominational, holistic, spiritual companions to the dying. We come from all walks of life, with one common goal, to make death better, for everyone, the dying, and their families. I have been a Soul Midwife for two years now, and have worked within the community, and as a Butterfly Volunteer at The Lister Hospital, and am now a volunteer complementary therapist at Willen Hospice – and I love it. But it occurred to me, after I started treating a friend who was at the end of her life, who was housebound and couldn’t get to the hospice or her therapist to have the reflexology that she so loved, that there was another big gap, to provide healing gentle touch to people who are dying, and who fall through the net, who can’t get to a hospice for complementary therapies. I knew my friend Simone of Angelic Touch Therapies felt the same as me. Simone, volunteers at Bedford Daycare Hospice and has a huge wealth of experience in palliative care and in holistic healing therapies. 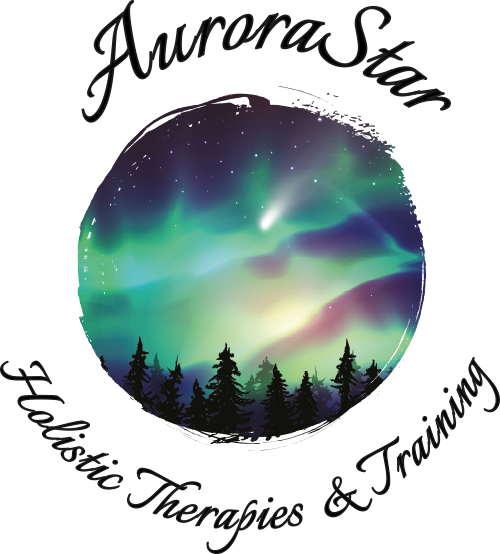 Together we created Angelic Aurora Palliative Care Therapies with the aim of bringing gentle healing therapies like reflexology, aromatherapy, massage and reiki into people’s homes to relieve some of the fear, pain and anxiety associated with dying, particularly if that person is alone, or doesn’t have a good support network of family or friends. Therapy Direct – ‘92% of People Want More CAM Available on NHS’ article and ‘Complementary Therapies for Palliative Care’ page. We can also give treatments to those caring for their family and friends at the end of their lives. It’s an incredibly upsetting and emotional time, and often those doing the caring are neglected and overlooked. As well as coming into the homes we can also go into hospitals and hospices, if that is what you need, to keep that continuity and balance, we will meet the person where they are at that moment, physically, emotionally and spiritually.